An opportunity has become available at Niagara Falls Entertainment Centre (NFEC) (the Facility) for an experienced Maintenance Electrical Technician with a background in both electrical technical work and video, lighting and audio. The role includes responsibility for troubleshooting, maintenance, repair, operation and tear down of video, lighting and audio systems of all sizes, in various venues and environments for live events. This role will support in the maintenance, repair and upgrading of electrical building and theatre system components and related installations. This position will report to the Facility Manager for the Niagara Falls Entertainment Centre (NFEC). • Perform skilled technical work as part of a maintenance team following instructions from the Facility Manager including the maintenance, repair and upgrading of electrical building components, A/V equipment, theatre lighting, video equipment and related installations including the performance of a variety of maintenance and installation tasks according to established schedules, methods and procedures. • Provide technical support during event hours and assist with electrical, A/V, theatre lighting equipment if issues arise, and perform a variety of technical theatre duties that support live performances and other events, as required. • Responsible for identifying malfunctions and undertake routine repairs or recommend those of greater complexity. Additionally, you will demonstrate a familiarity with industry standards of special event lighting practices including signal flow, networking, power distribution and electrical safety. • Carry out electrical repairs and cleaning of A/V and lighting components and equipment and prepare record keeping related to the work. • Prepare, label, and scan equipment as required and may be required to working at heights, either in lifts or on ladders. • Perform other work outside of position’s usual trade certification but within the individual’s capability or work experience as part of the maintenance team. • A strong electrical and technical background and a minimum of 3-5 years hands-on experience of audio, video and lighting equipment. 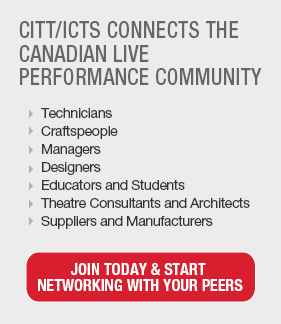 • Ability to read and interpret electrical drawings and knowledge of common practices used in live events and theatre. • Knowledge of lift machinery and equipment, such as scissor and boom lifts, and the safe working procedures involved. At Bouygues Energies and Services we aim to foster work environments that are client focused, results-orientated and collaborative. Bouygues Energies & Services is a leading provider of Facility Management services to a range of clients across Canada and, through our parent company, globally. Our Canadian projects include the government, aviation industry, and healthcare and entertainment sectors with contract duration ranging from short term to 28 years. With our sister company, Plan Group, we have significant reach into all asset classes. Our offices include Vancouver, Winnipeg, Montreal, Ottawa and Toronto. We take pride in providing partnerships with our clients, providing facility management and energy solutions. Whether creating modern and imaginative workspaces, enhancing carbon and green performance, or delivering high quality facility services, we will bring our imagination, energy and technologies to deliver a unique client experience that creates tangible value and benefit to our clients and partners. Our core values of safety, integrity, commitment, helpfulness, results, team work, empowerment, innovation and honesty contribute to our family-orientated Bouygues culture and we are committed to hiring people who are leadership focused, team-centered and pride themselves to take ownership and are accountable.